Where are the herds in October? 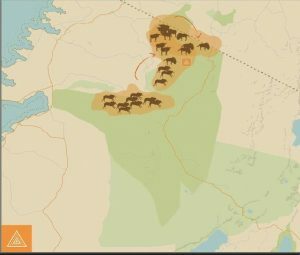 As with August and September, the herds are yet again in a pretty identical position in the northern Serengeti areas of Kogatende and Lamai, and in the Masai Mara. There is a chance in late October that the light rains will come a bit early and therefore push the herds south, however, this takes a long time as there are so many of them! The chances are even if you are visiting the north in late October, that a good few of the herds will still be lingering in the north. 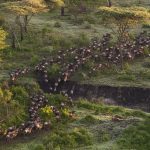 Is October a good time to see the Great Migration? Contrary to popular belief, early – mid October is still a phenomenal time to see the river crossings and so is even late October. Even if the light rains do come a bit early in late October and the herds do begin to push south, this takes a long time as there are so many of them. 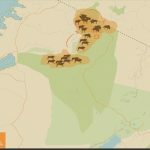 The chances are even if you are visiting the north in late October that a good few of the herds will still be lingering in the north and crossing the Mara River in between Kogatende and Lamai. October is an even quieter time of year than September and August to see the crossings and there are some seriously good deals in our favourite camps. In the office, we are forever torn, but many of us will say that October is our favourite time to see the migration. Aside from the park being quieter, it is desperately dry at this time of year, so the game viewing throughout the Serengeti is phenomenal as the animals congregate to the water areas. October is also a great time to catch some unbelievable predator action. So, where should I stay to get the best chance of catching the herds in October? In the northern Serengeti in Kogatende or the Lamai Wedge if you are looking to catch some river crossings. You should not anticipate their move south in your choice of camp, as river crossings are still happening and should not be missed if you are in the Serengeti at this time of year. The Masai Mara is still busy at this time of year, as it is a smaller area with a lot of camps, so we would always recommend sticking to the Serengeti in between July and November if you are looking to catch the migration. 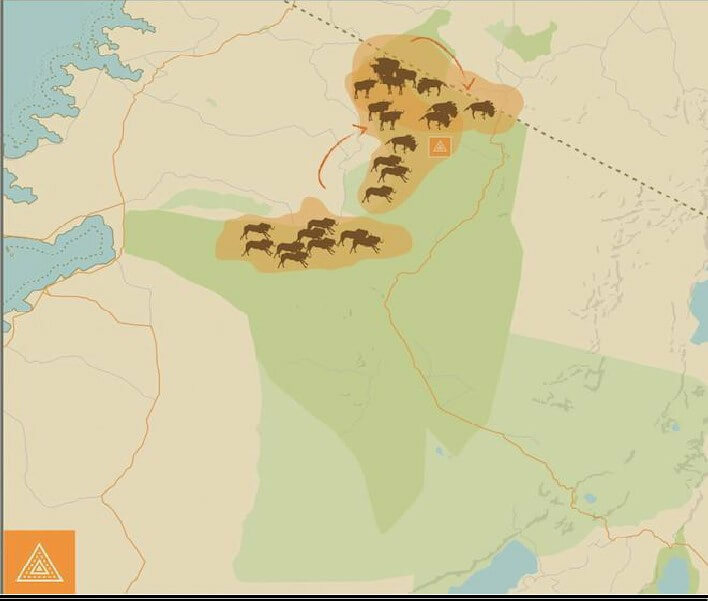 It is worth noting too that the wildebeest are always in the northern Serengeti from when they arrive up in the north until they leave for south again, whereas they are only sometimes in the Masai Mara at this time. 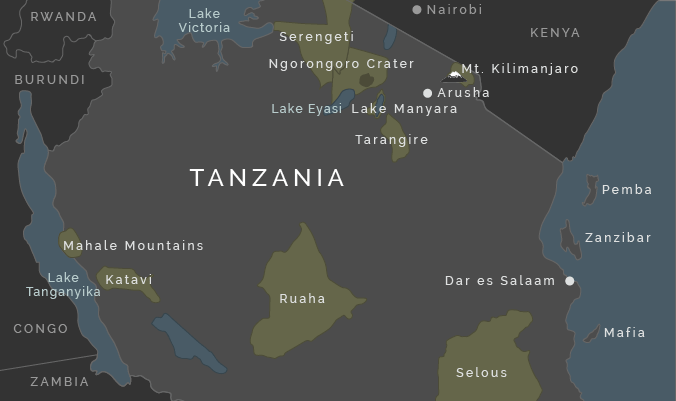 Visiting Kenya is not integral to their route, but more of an offshoot from their main Serengeti path. 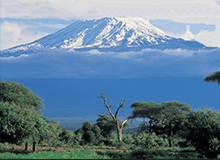 They don’t see the country border and think “we must go to Kenya!” – it is just an extension of their circular route which essentially revolves around the Serengeti. Which permanent camps to stay at in the northern Serengeti (Kogatende/Lamai) for an October safari? Which mobile camps to stay at in the northern Serengeti (Kogatende/Lamai) for an October safari? 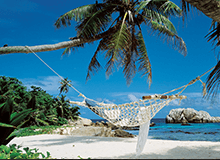 Chaka ($435 pppn) – Very comfortable accommodation and an excellent overall experience in great locations and importantly, at an amazing price. You can’t go wrong with Chaka for a basic yet authentic Serengeti safari. Serengeti Safari Camp ($900 pppn). Our favourite barefoot luxury authentic Serengeti mobile camp, for an early July safari there is nowhere better. As there are two camps which move independently throughout the year, there is no in-between period where the camp is moving location and thus not open. The rates do not change from high season, but there are come incredible deals with other Nomad properties in the country… Ask us for more info! 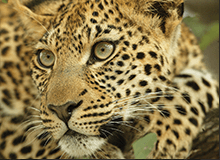 Serengeti Under Canvas ($885) – The premium option if you are looking at staying under canvas in a tented camp and with great mid season rates in October. 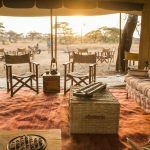 Olakira ($971 pppn) – Asilia’s most luxurious mobile camp, it is not quite as glitzy as Serengeti Under Canvas but by no means is a less desirable option as it doesn’t come with quite such a hefty price tag. Though it certainly is not cheap! Kimondo ($914 pppn) Kimondo is in Lamai Wedge which benefits from being somewhat cut off from the rest of the Serengeti, only with a few other camps in the region, of which, it is the most reasonably priced option. Alex Walker’s Serian ($1,110 pppn) – Luxurious food, service and tents but with a really classic safari style. 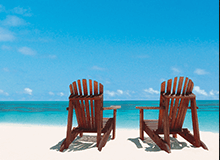 A huge perk of Serian is that your price includes a private vehicle and guide for your whole stay.